At last in WSB this year we’ve seen some rev-limits altered to try and balance out performance, with the three manufacturers deemed to be under-performing being given an extra 250rpm to add to their red-limiters. With BMW, MV Agusta and Honda barely getting a sniff of the podium thus far in 2018, they’ve now been allowed more revs to play with. This, on top of the first round of performance balancing where everyone bar Ducati were allowed a single engine upgrade. 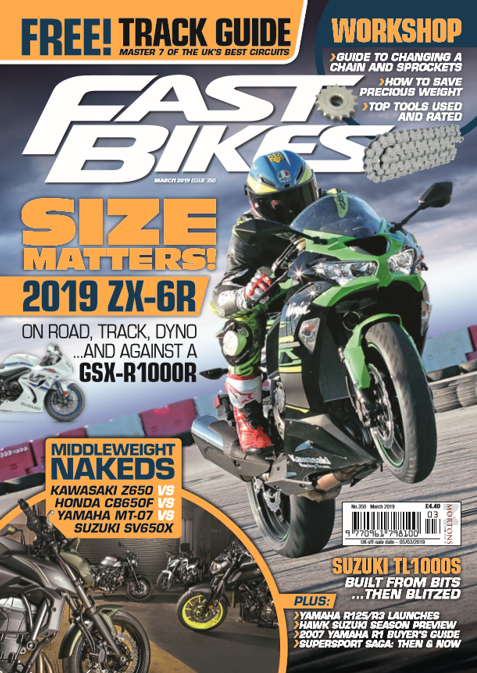 There were apparently no takers on that upgrade, given how much work must go into swapping out cams, or whatever, as every small change has a knock-on effect on the entire bike – so most concentrated on dialling in what they already had instead. Now, in Honda’s case it’s little surprise their results haven’t been great given the number of crashes, injuries and rounds missed by their riders. 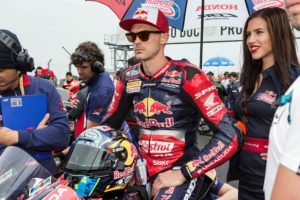 But we’re sure they’ll make the new allowances work seeing as more power is exactly what Leon Camier has been asking for. 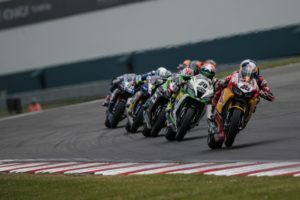 With BMW, there’s only Loris Baz riding one and as his return to WSB from GP hasn’t exactly been as he’d wished, perhaps this will give him a leg-up, too – while we wait for news as to whether or not BMW will be returning to WSB in a full factory capacity in 2019, there are strong rumours suggesting as much. For MV Agusta though, their F4 RC doesn’t even rev as much as their current allowance anyway, so an extra 250rpm is, for them, a bit of a waste of time. WSB tech guru Scott Smart may have to work out another way of giving them a hand, although as we also expect to see the F4’s replacement later this year, the F7 (it’s apparently called), they may also hold off on doing anything significant. And, regardless, it’s not the MV factory that does all the work anyway, it’s the team, so perhaps waiting until next year would be right for them, too. Previous Post:Watch – Sportsbike Of The Year 2018 – Ducati Panigale V4 S – Dyno Run – Extra Hot! Next Post:Watch – Sportsbike Of The Year 2018 – BMW S 1000 RR – Dyno Run!